Florida landowners are encouraged to take part in the Longleaf Pine Landowner Incentive Program. The Florida Forest Service is accepting applications through Friday, July 13, 2018 from eligible, non-industrial private forest landowners. The program is supported through a grant from the National Fish and Wildlife Foundation with funding from various agencies including USDA’s Natural Resources Conservation Service, USDA Forest Service, and the U.S. Fish & Wildlife Service. This program is offered for private lands in Florida counties located west of the Aucilla River and several counties near the Ocala National Forest. 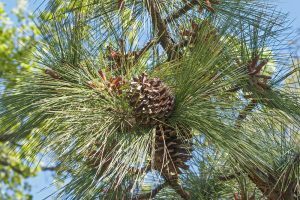 The goal of the program is to increase the acreage of healthy Longleaf pine ecosystems in Florida by helping non-industrial private forest landowners make the long-term investment required to establish and maintain this valuable ecosystem. The program offers incentive payments for completion of timber stand improvement, invasive species control, prescribed burning, planting Longleaf pine, native plant understory establishment and mechanical underbrush treatments. Application forms and more information on program requirements and procedures can be found by visiting FreshFromFlorida.com or by contacting your local county forester. Learn more at FloridaForestService.com.